Focus Features has released the trailer for Boy Erased. The upcoming film stars Lucas Hedges, Russell Crow, and Nicole Kidman. The film is based on Garrard Conley’s memoir. It has been directed by Joel Edgerton and is set for a November 2, 2018, release. I have mentioned Boy Erase a few times before on The Geekiary and I am glad we’ve finally got a trailer. The film boasts a very impressive cast and I wouldn’t be surprised if it receives recognition once award-season begins. Oscar-nominee Lucas Hedges plays the lead of the film, named Jared. We will see him struggling to accept his sexuality as a teenager while living in a deeply religious community. Hedges recently played a gay character in the critically acclaimed Lady Bird. Check out the trailer for Boy Erased! I have got to be honest here; Hedges’ line delivery leaves a lot to be desired. However, I realize this is just a trailer, which can be pretty limiting. Maybe he will surprise everyone in the actual film? He’s got the facial expressions down, though. The trailer features a new song titled ‘Revelation‘ from out singer/actor Troye Sivan. He also appears in the film. 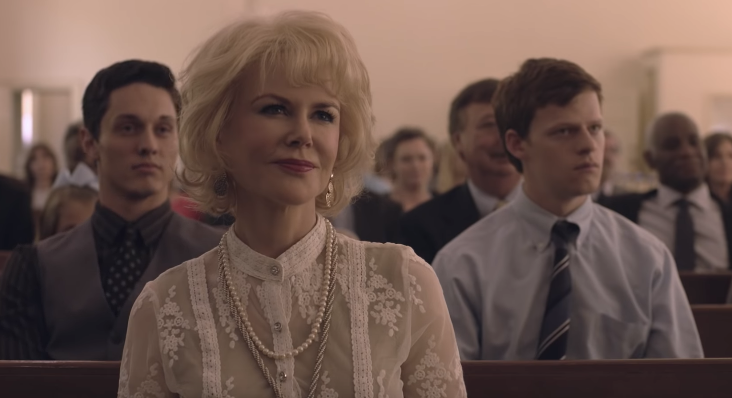 The film will tell the story of Jared (to be portrayed by Mr. Hedges), the son of a Baptist pastor in a small American town, who is outed to his parents (Ms. Kidman and Mr. Crowe) at age 19. Jared is quickly pressured into attending a gay conversion therapy program – or else be shunned by his family, friends, and church. It is within the program that Jared comes into conflict with its head therapist (Mr. Edgerton). The Miseducation of Cameron Post, another title about gay conversion therapy, will be released this August. While you wait for both films, you can go ahead and watch Fair Haven. Another well-made movie that tells a story about a teenager who went through conversion therapy. Fun fact: Russell Crowe played a gay character in 1994’s The Sum of Us. You should watch it. Got any thoughts about Boy Erased? Feel free to share them in our comments section below! Next: Ryu Ranger Enters “Power Rangers: Legacy Wars” Mobile Game Complete With Short Film!